Welcome to the CUNY Digital Humanities Resource Guide, a collaboratively produced introduction to the field of Digital Humanities. The guide is a project of the CUNY Digital Humanities Initiative (DHI), a new working group aimed at building connections and community among those at CUNY who are – or would like to be – applying digital technologies to research and pedagogy in the humanities. 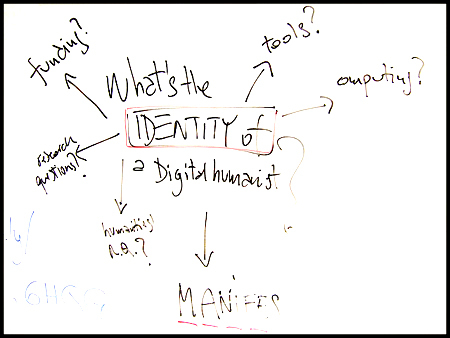 Credits: The Digital Humanities Resource Guide was created by Charlie Edwards, a graduate student in the Ph.D. Program in English and the Interactive Technology and Pedagogy Certificate Program at The CUNY Graduate Center, in consultation with ITP faculty member Matthew K. Gold. CUNY Academic Commons Wiki Wrangler Scott Voth helped format it for the wiki. Future versions of the guide will be produced collaboratively by the members of the CUNY DHI community and, we hope, by the DH community at large.